SO THIS IS PARIS — Ernst Lubitsch, who famously said, “There is Paramount Paris and Metro Paris, and of course the real Paris. Paramount’s is the most Parisian of all.” Well, here he’s got Warner Paris, which isn’t as celebrated as the other three, but really it’s Lubitsch Paris. He’s also having some good-natured fun with the Valentino cult, not in the way of outright spoofing (MUD AND SAND comes to mind, with Stan Laurel as “Rhubarb Vaselino”), but Patsy Ruth Miller (Lon Chaney’s Esmeralda) plays a respectable bourgeois obsessed with “Arab novels” and George Beranger is a kind of exotic dancer who attires himself in minimalist exotic garb. There’s also more fanciful stuff, such as a dream sequence in which Monte Blue swallows his own cane, and a moment when, belittled by his wife, he literally diminishes to Grant Williams size. All this and the celebrated Charleston sequence at the Artist’s Ball, a kind of follow-up to the Foxtrot Epidemic in Lubitsch’s earlier THE OYSTER PRINCESS. Male lead Monte Blue seems a little charmless — this is a kind of variant on THE MARRIAGE CIRCLE, where Adolphe Menjou was more effective. 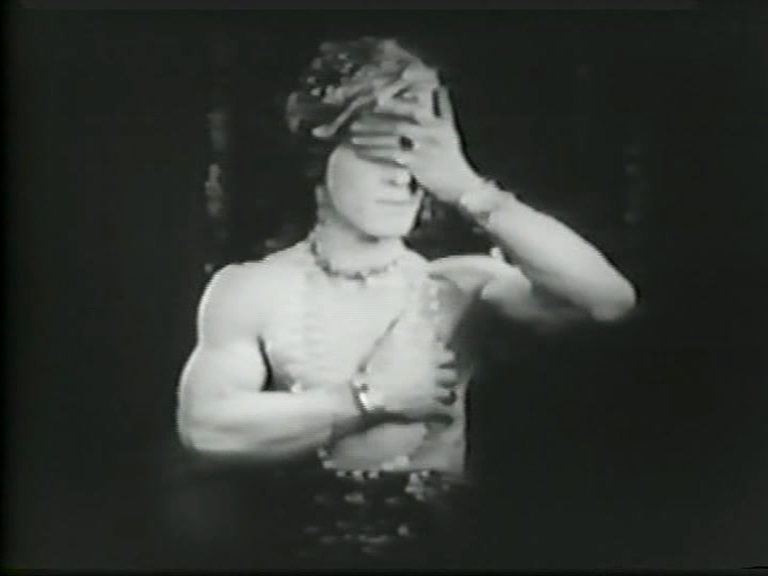 But I can see why Lubitsch might like Blue, a slightly less grotesque, less bulbous version of Lubitsch himself. But he has a smarmy, El Brendel quality, and his clown-white foundation and dark lipstick suggests the Joker gone to seed.